Lori’s strong mix of clinical and intuitive skills offer a dynamic and effective healing experience. 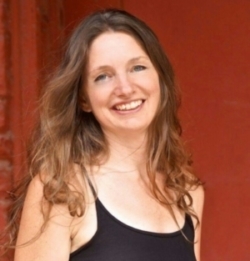 She blends modalities like Swedish massage, myofascial release, trigger point therapy, muscle energy technique, and craniosacral therapy to tailor sessions to meet the unique needs of each client. Her presence and focused attention combined with her understanding of the body/mind connection facilitate opportunities for powerful transformation and healing. She received her formal training from SHI Integrative Medical Massage School in Lebanon, OH and has further training and practice in Reiki, Biodynamic Cranial Touch, Craniosacral Therapy, Insight Meditation, and Personal Development and Leadership Coaching. Therapeutic massage can help clients experience relief from injuries, misaligned movement patterns, and chronic pain. From sports injury to whiplash, depression to anxiety, scoliosis to temporomandibular joint dysfunction, and so much more, Lori’s approach to medical massage allows the work to be done within the comfort level of the client to bring mobility and ease back to the body. People are drawn to Craniosacral Therapy for a vast array of reasons, from stress relief and deep relaxation to deep emotional unwinding and integration. It is a subtle, yet powerful approach that elicits the innate wisdom of the body. Restoring the optimum flow of cerebrospinal fluid that circulates through the central nervous system, CST can alleviate symptoms associated with depression, anxiety, insomnia, fibromyalgia, chronic fatigue syndrome, migraines, ADD, ADHD, back pain, neck pain, and much more.